The Islands of the Fraternal Order of Moai • View topic - Cthuluau? You would have to have at least one drink made with absinthe because it would be both period appropriate AND be a lovely shade of green. As for the See Food, got see what's left in the mind on this one. Paging Rum Journey. Rum Journey to Thread 21880. I don't know, but I would definitely attend. And the absinthe twist on drinks is brilliant. 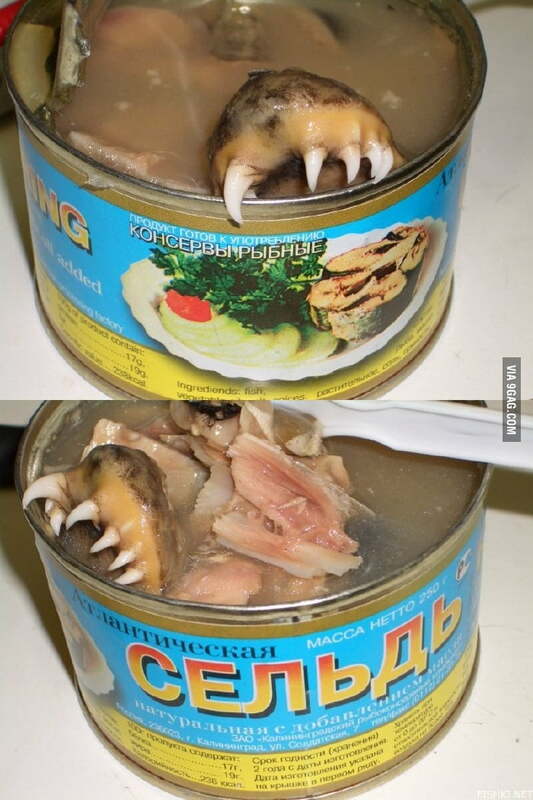 Whatever that canned Russian sea meat is, I have to have it. Not to eat of course. Oh.. I like this idea a whole lot!!! No. But Navy Grog variation, yes. I was summoned? Oh something Cthulhu related? I'm in. Ancient Mariner is one of the first Tiki drinks that comes to mind when I think Cthuluau. A variant of the Dr. Funk recipe could be fun especially since it already has absinthe in it. Hope you have a lot of fun executing the luau. Don't forget your Elder sign. Jason Alexander has this covered at Devil's Reef in Tacoma, WA. A lot of Lovecraft-inspired libations, a collab with Horror in Clay, dark nautical vibe, and it's named DEVIL'S REEF!